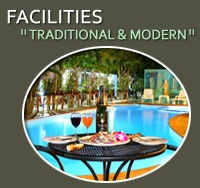 Within our complex, we offer all guests our unique Thai hospitality. 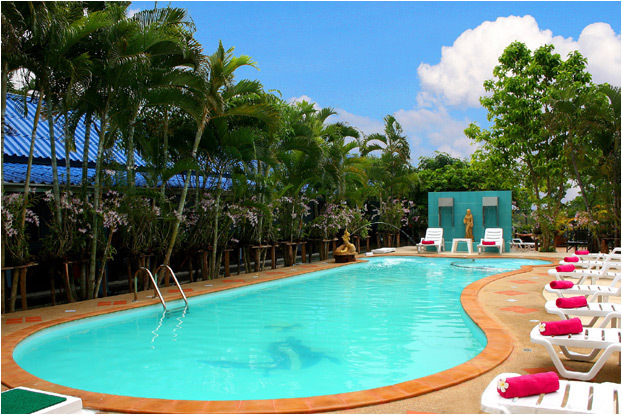 Directly overlooking the famous River Kwai we have our own restaurant, bar and BRAND NEW swimming pool. A superb range of Thai and Western food, all at very reasonable prices and a selection of beers and spirits. We have motorbikes for rent so you can explore the local area and have easy access to The Bridge, Cemeteries etc. After a hard days sightseeing and touring around Kanchanaburi, why not grab a cold drink from the bar and relax by our brand new pool. Away from the noise of the main River Road, you can sit and chat with your friends in our clean and tidy garden area. 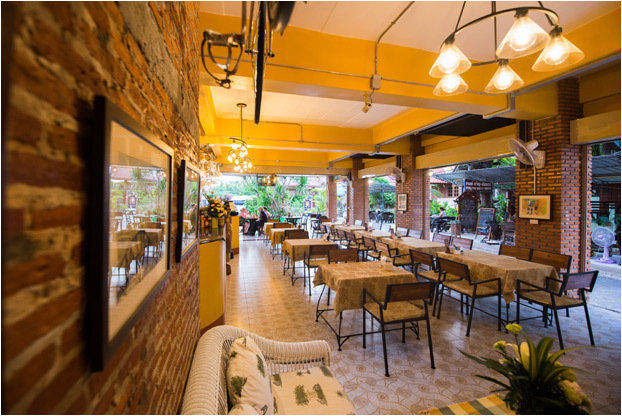 One of the most popular eating places in town, many people come to Pong Phen to check out our range of Thai and Western food. Snacks, sandwiches, salads and all your home favourites are all available. Our team also prepare some of Thailand's most famous dishes. Rice dishes, soups, spicy salads, seafood, BBQ, noodles. Whatever your tastes, we can prepare it! Our bar is well stocked with both local and international drinks. Local and European beers plus a wide range of spirits and cocktails. 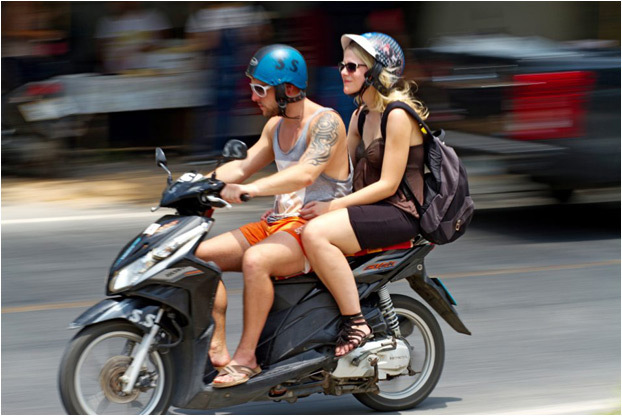 Our motorbikes are available for just 200 THB ($US 7) a day. We can offer a cheaper rate for longer term rentals. We can also give you free copies of local maps highlighting the areas worth a visit.